October 24, 2018 Forza Horizon 4 sales set a new record for the series. Microsoft’s open-world racing series went to the UK in Forza Horizon 4, and the new setting has paid off to the tune of the best early sales in the history of the series. Going all the way back to the original Forza Motorsport in 2005, none has done as well as the latest – and that doesn’t even count the players getting in to play cheap via Microsoft’s Game Pass service. The latest NPD results reports that Forza Horizon 4 was the seventh best-selling game in the US in September, counting both digital and retail sales across Xbox One and PC. It was the number two game on Xbox One this month, right behind NBA 2K19. 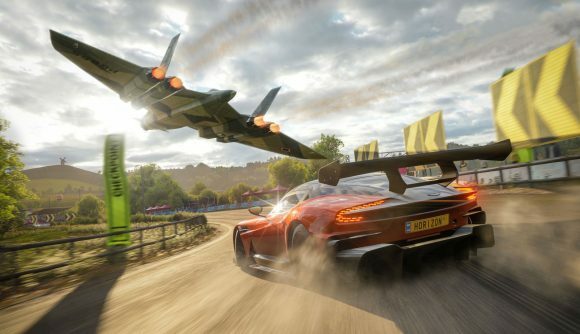 Those numbers are backed up worldwide, and Microsoft said earlier this month that Forza Horizon 4 is “the fastest-selling game in the series,” according to the UK’s physical charts. On October 10, a week after the game’s regular release, Microsoft reported that two million players had logged to that point. Impressive numbers to be sure, but we didn’t know how much of an effect Game Pass had. All the Xbox brand’s first-party titles now launch on day one as part of the $10 subscription, but that hasn’t seemed to drag traditional sales down. Sea of Thieves sales outdid early expectations, according to Xbox chief Phil Spencer, as did State of Decay 2 – both the early experiments on Game Pass. Now with Forza Horizon 4 as yet another success both on that service and by traditional metrics, we can likely stop splitting hairs about the subscription’s effect on reports of a given game’s success. If you haven’t tried the latest entry out yet, take a look at our Forza Horizon 4 PC review. Alternatively, if you’re struggling to get to grips with all that dry stone walling, maybe check out our Forza Horizon 4 beginner’s guide. Fair warning – while it’ll probably help with those winding country lanes, dealing with regional UK accents is something you’ll need to get to grips with by yourself.